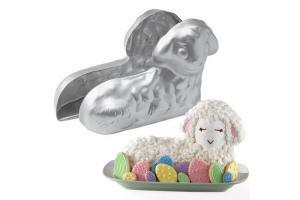 This aluminium baking pan from Wilton shaped like a 3D lamb consists of 2 parts. And is perfect for making a lovely lamb! English instructions included. Size: 30 x 17.5 cm height. Eine Nachricht bei Änderungen zu WILTON STAND-UP LAMB PAN versenden.